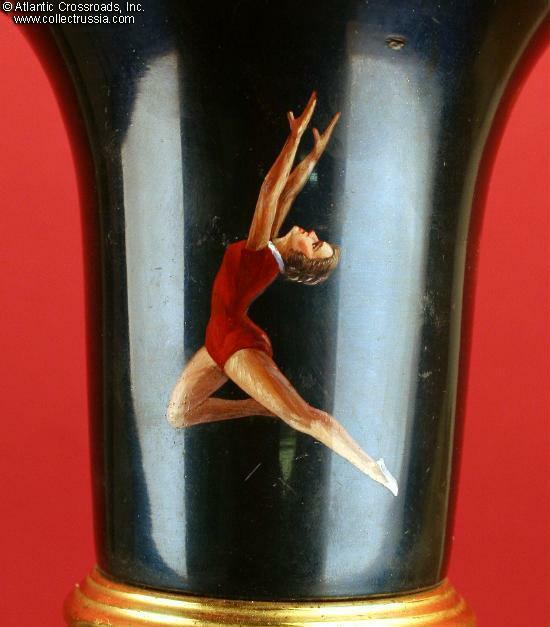 Soviet Award Trophy, with hand painted Gymnast on the front. 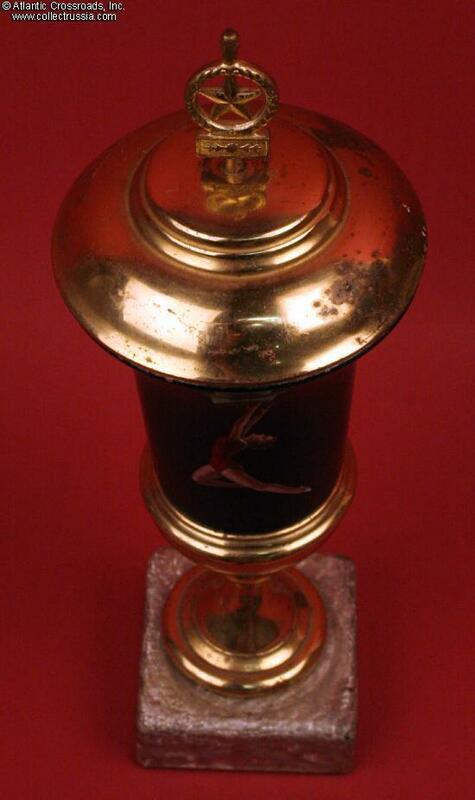 Soviet Award Trophy, with hand painted Gymnast on the front. Circa 1950s. 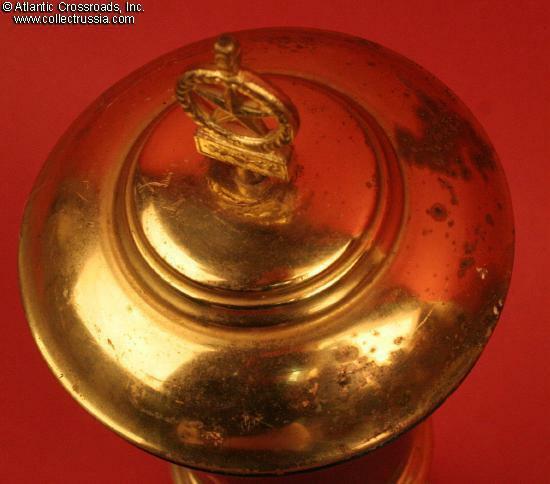 11 ¼" metal urn, fashioned of tin, on a base with a typically Soviet "pearl-ized" finish. 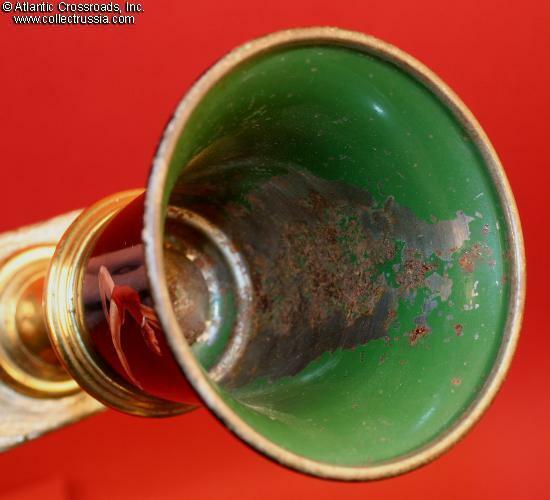 Interior of the urn painted green, lid interior painted red. 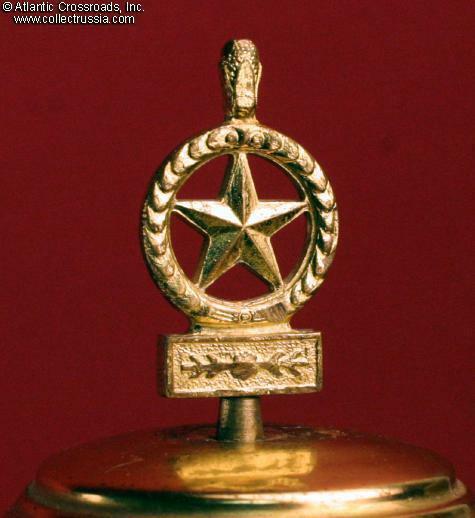 Lid shows a variant of the Soviet Star finial used on the iron fence around Moscow's Alexander Gardens located just outside of the Kremlin. Female figure is hand painted on to a deep blue, slightly iridescent, surface. Very good to excellent condition. 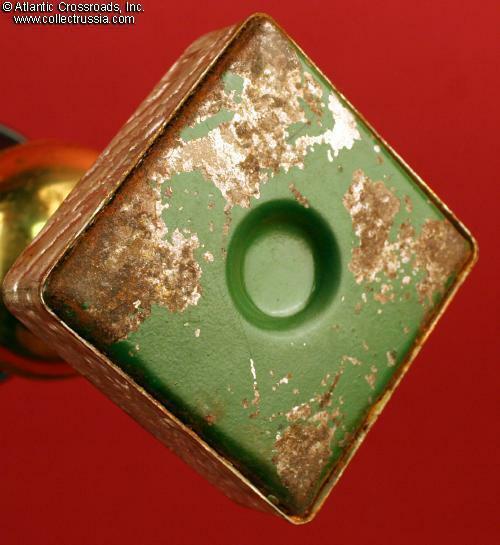 From the wear to the green paint, we think that it is possible that the trophy was periodically used to hold flowers. All the component parts are firmly attached to each other. Besides the distinctive pearl-ized finish on the base, this award shares the somewhat "slightly out of kilter" look that almost all Soviet awards like this seem to have - and that can be easily corrected by placing a coin under the appropriate corner! 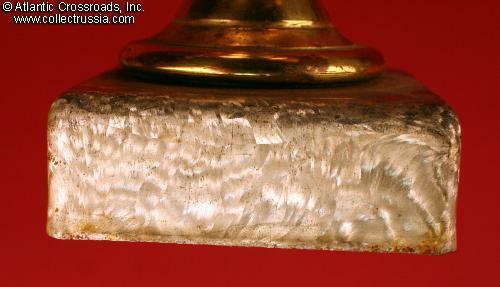 The gold finish has some oxidation spots but none of them are detractive. 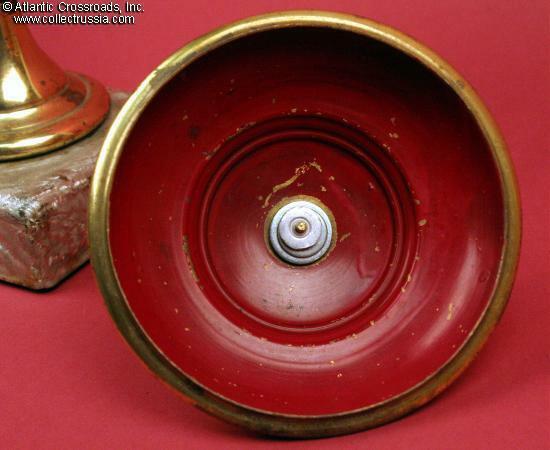 The lid does not sit quite perfectly on top of the urn but when sitting on a bookcase shelf this is not noticeable. (It is possible that the lid may snap into place but we were reluctant to try forcing it. An attractive memento of the Empire's athletic side.